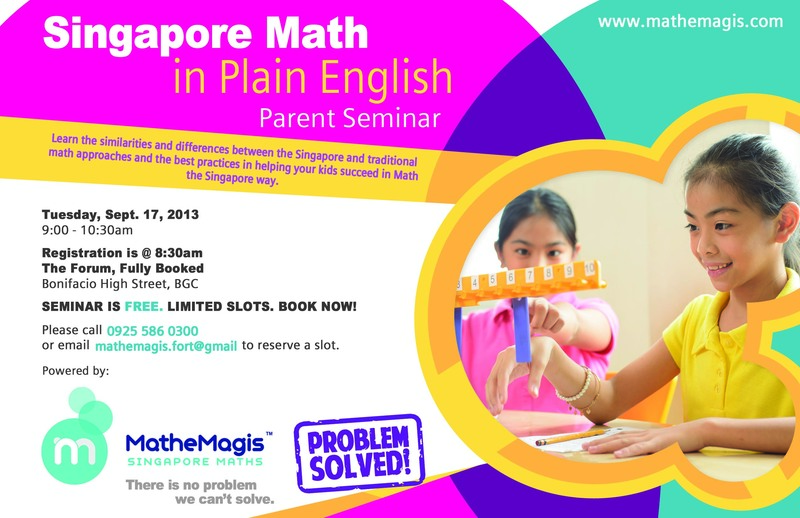 Mathemagis will hold seminars on Singapore Math to help parents understand the similarities and differences between the Singapore and traditional math approaches. 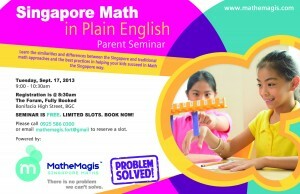 Parents will also learn the best practices in helping their kids succeed in math the Singapore way. Registration is free but slots are limited and pre-registration is required.